Thailand-based, global hospitality group Dusit Hotels & Resorts has signed a partnership agreement with Ksher (WeChat Pay Thailand) and Asset Bright to accept WeChat Pay at Dusit Hotels and Resorts. WeChat Pay is part of China’s largest mobile instant messaging app, WeChat, which to date has over 800 million active users. It allows users to pay bills, order goods, transfer money to other users, and pay in selected stores directly via smartphone using credit from their personal WeChat Pay accounts. Under the new partnership agreement, Dusit Hotels & Resorts will be the first hotel group in Thailand to accept WeChat Pay at its restaurants, spas, participating outlets, and for hotel rooms upon check-out, initially at its owned properties in Thailand and subsequently its other properties around the world. Users will be able to pay their hotel bills by simply scanning a QR code to have the relevant fee deducted from their accounts. Authorised by the Bank of Thailand, Asset Bright will process all e-payments made via WeChat Pay at Dusit hotels in Thailand. 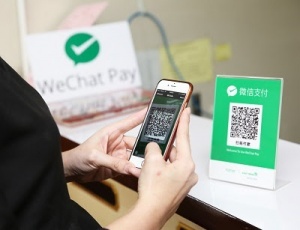 Ksher, meanwhile, will implement and maintain the WeChat Pay system, including providing online security and technical support. “In China’s top-tier cities, approximately 90 per cent of stores now accept WeChat Pay as a payment method and the platform’s reach is starting to expand globally,” said Lim Boon Kwee, chief operating officer of Dusit Hotels & Resorts. “Chinese tourists are high value market and increasingly significant to our business, so it’s important we do all we can to cater to their needs. #Asia #China What does Alibaba’s likely takeover of Ele.me mean for Alipay and WeChat Pay?